Winter isn’t over. There are more cold temperatures to come with snow, sleet, freezing rain, cloudy skies and early dark evenings. With the winter blahs comes lowered productivity. The thoughts of going out to the gym are stifled while thoughts of comfort food sneak into our consciousness. Again, these are not terrific conditions to foster motivation and productivity. In addition, there may be a slump after the holiday season. When January and February rush by and you wonder where it went and why so little was accomplished. You’re feeling lethargic and asking, “What happened to those New Year’s resolutions?” Due to the cold and ice, you may not be getting out as much, feel bored, overeat, or neglect to exercise. Perhaps you suffer from the winter blahs. According to statistics from the American Academy of Family Physicians, winter depression Seasonal Affective Disorder (SAD) affects approximately 4 to 6 percent of the United States population—about 1 in every 16—who feel inexplicably dispirited five months of the year. Some of the symptoms include fatigue (need for more sleep), feelings of sadness, less energy, and less desire to be with others. Even if the feeling is not enough to be classified as outright depression, between 10 to 20 percent of the U.S. population experiences some form of mild winter blues. Being blue tends to lead to sagging productivity. In turn, lowered productivity can trigger sadness and a vicious cycle occurs. Reflect upon your productivity during the winter months. Ask, “Is productivity lagging?” “Do what degree am I lethargic and how is it interfering with getting things done?” Once you think you have a touch of the winter blahs, then commit to action. Reduce lethargy and boredom, reeve up the exercise. Even 20 minutes, 3 times a week helps energize and provide a greater control sense of accomplishment and control. Can’t get to the gym? Use a DVD to engage in yoga or exercise. Make a new beginning for New Year’s resolutions. For example, revise goals into smaller, easier-to-accomplish steps and get some social support. Lift your spirits by appealing to your senses. For example, listen to uplifting music, buy flowers, use a light therapy lamp, use evergreen candles, or take warm baths. Conduct an early, but mini, spring-cleaning. Use time at home to clear the clutter from the last quarter or year. It’s invigorating to see a cleared desk or closet. Plan a stay-cation. Plan some fun activities at home or in town. Go to exhibits, museums, movies, and presentations at the local library or college or invite friends over for a potluck dinner or pizza party. Find some humor in life. For example, watch silly episodes on YouTube. For example you might enjoy one of the Dancing Cows. For tap dancing, click here and for hip hop, click here. Find ways to help others. Volunteer at places like the Humane Society, Salvation Army Center, local homeless shelter, or senior care center. If you can’t get out, discover how you can help from home by cooking, making telephone calls or using Skype. Get out into nature. Breathe some fresh air, especially if the sun peaks out. Even a few minutes can feel uplifting. Let in natural light and whenever possible, pen the windows for a few minutes. Make nutrition a priority. Do you need to increase fruits, vegetables, or proteins and avoid excess consumption of carbohydrates and alcohol? 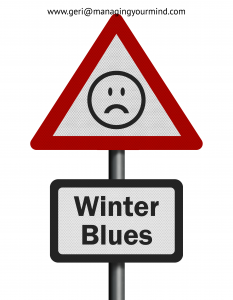 The winter blues are real and do have a negative affect on productivity. Start small by focusing in social interactions. Touch base with colleagues, friends and family to discover ways you and they can beat the winter blahs, if they and when they occur. Try Skype or Face-time to check in on those who you haven’t contacted in a while. Keep track of the ways in which you begin to increase your energy and productivity. 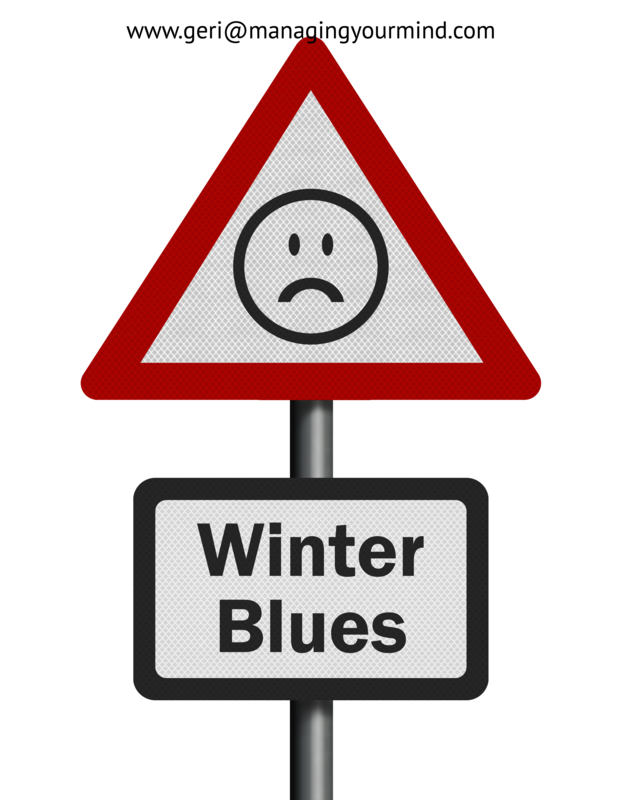 If your winter blues are intense and have a negative impact upon productivity or social relationships, it is wise to get a check up with a mental health expert or family physician. Don’t let Seasonal Affective Disorder overtake your life.